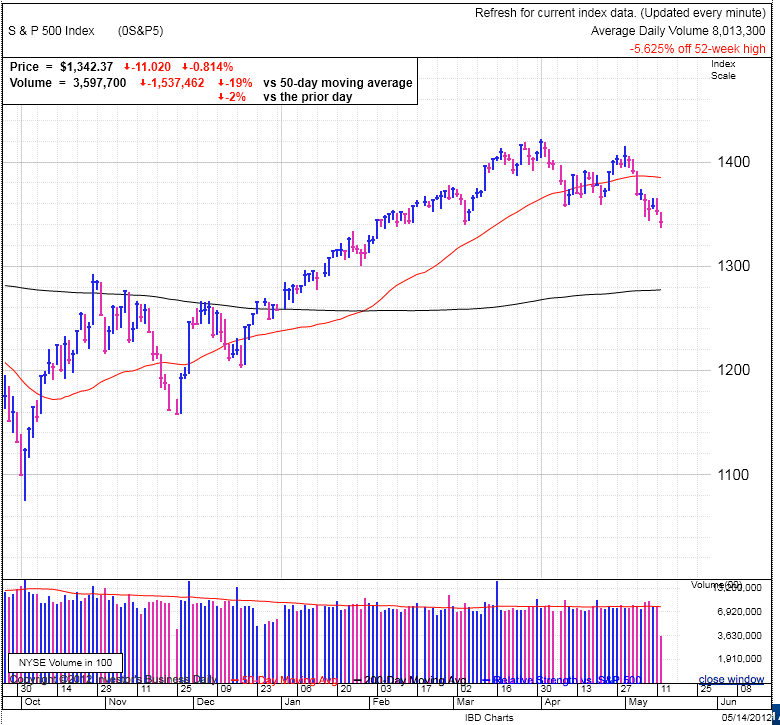 The indexes undercut their recent lows in early trading, resetting any rally attempt from last week. But rather than trigger a cascade of stop-loss selling, the undercut quickly reversed and bounced higher, cutting the losses in half. It is to early to say if the buyers that rushed in and propped up the market are geniuses or fools, but bottom-picking is a bold game and any disciplined CAN SLIM investor will wait for the follow through day confirmation. The VIX continues to trade at a modest 21 and the lack of stop-loss selling triggered by a new low demonstrates most market participants are fairly comfortable at these levels and willing to hold on for the expected rebound. So this leaves us wondering if the crowd is right or if we should take the opposite side. No doubt I am skewed toward the contrarian view, but the truth is the crowd is more often right than wrong as sustained moves are far longer in duration than reversals that tend to happen rather quickly. So when deciding whether or not to trade with the crowd, we first need to decide if the recent price action is part of a continuation or a reversal. And of course time-frame matters a lot in this debate because it could very well be a short-term reversal within a longer-term continuation. Again my bias continues to be for more near-term downside and I have a leveraged bearish index trade on. I’ve been looking at struggling high-flyers for a shorting opportunity, but the volatility in both directions scares me and since I expect a more controlled pullback, an index play seemed to provide the best risk/reward. Of course if the sell-off picks up steam, I’ll get more aggressive in individual names, but for the time being, picking up a few bucks on the downside is keeping me engaged.